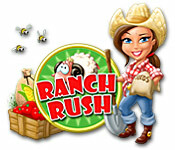 Ranch Rush is rated 5.0 out of 5 by 29. Rated 5 out of 5 by Discordia33 from Wildly Addictive!! 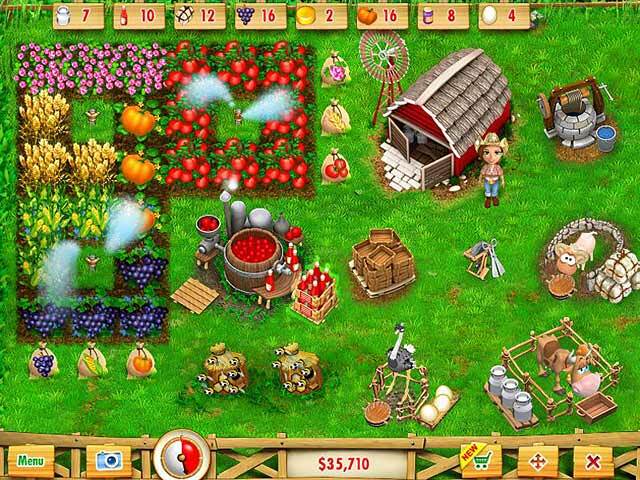 If you love time management games you'll really appreciate this mad rush to run a successful farm! The characters are adorable, graphics and sound are great and the overall game play was incredibly fun! I've played MANY of the farm style games and this has been my favorite! 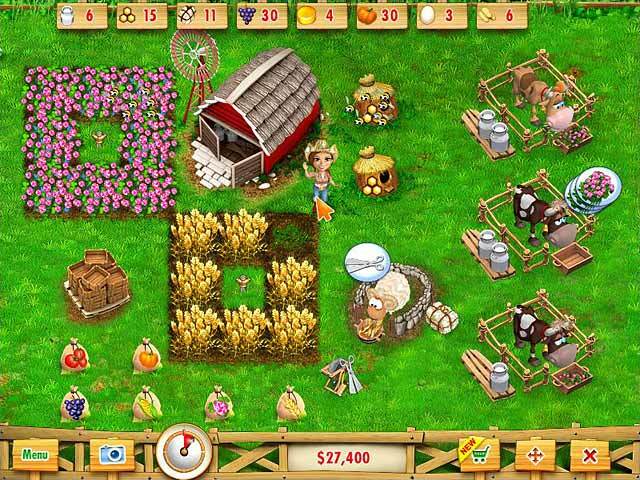 You'll start with running to tend you crops and increase in difficulty as you acquire animal and machinery to make more complex goods. I found that I couldn't pull myself away from the computer for hours on end! Rated 5 out of 5 by amylmenke from Love this game! This is one of my favorite games and I've come back and played it numerous times. I highly recommend it. You do have to like games where you click a lot because there is a ton of clicking in this one. 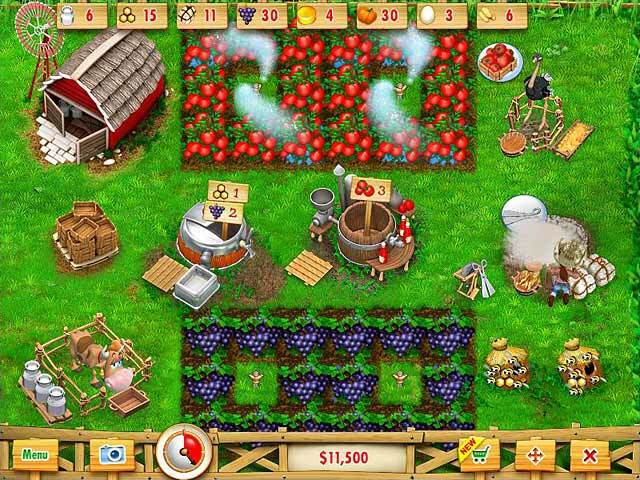 You have a farm and people come and place orders and you need to fulfill them. Pretty easy until you get into the later levels and need to work ahead for the next level to get ketchup, jam and bread made. And don't forget to feed your cows for milk! Rated 5 out of 5 by sunbed from Best TM game ever A MUST if you are into challenges, fun, great graphics and games that you could replay forever. It's 3 years since I bought the first Ranch Rush and I'm still devising new ways to beat the clock. Cannot recommend highly enough. Sequels were disappointing and shorter but still waiting aviding for the 4th Ranch Rush. Rated 5 out of 5 by Kirijones1234 from Great Fun Great fun, awesome graphics really enjoyable. Oh and I'm almost 50. Happy Gaming everyone. Rated 5 out of 5 by lasboro from Good Fun Really enjoyed this game . Good fun . Got harder as it went on which was good also . The only downside is it's not long enough , I just want to keep playing . Especially when I've just got my ranch organized how I want it . Would have been nice to go over the levels again and again with my completed ranch layout . Rated 5 out of 5 by Bakwudz from Got To Go With The Crowd This is a really good game. Fast paced, yet with planning and a lot of control over how you think you should accomplish your goals. Fair, not easy in the upper levels, but doable. A whole lot of fun! Hated to see it end, and I can't think of better praise for a game than that. Rated 5 out of 5 by Skyyaria001 from EXCELLENT GAME!!!!! I never get tired of playing this game. Each time I play, it is a challenge and always a different experience than the time before. The game never freezes. The entire game is great and much more than I expected. Rated 5 out of 5 by BabyButterCup25 from Best Game ever made!!!!!!! I loved this game it has challenge, great story and much much more. I loved how many levels there where and the hard mood was great as well. If your looking for the best farming game this one is it. Also if you loved this one do Ranch Rush 2 as well it's just as great as the 1st one.